Psalm 73:25–26 Whom have I in heaven but thee? And there is none upon earth that I desire beside thee. My flesh and my heart faileth: But God is the strength of my heart, and my portion for ever. Revelation 22:1–5 And he shewed me a pure river of water of life, clear as crystal, proceeding out of the throne of God and of the Lamb. In the midst of the street of it, and on either side of the river, was there the tree of life, which bare twelve manner of fruits, and yielded her fruit every month: and the leaves of the tree were for the healing of the nations. And there shall be no more curse: but the throne of God and of the Lamb shall be in it; and his servants shall serve him: And they shall see his face; and his name shall be in their foreheads. And there shall be no night there; and they need no candle, neither light of the sun; for the Lord God giveth them light: and they shall reign for ever and ever. Hebrews 1:10–12 And, Thou, Lord, in the beginning hast laid the foundation of the earth; and the heavens are the works of thine hands: They shall perish; but thou remainest; and they all shall wax old as doth a garment; And as a vesture shalt thou fold them up, and they shall be changed: but thou art the same, and thy years shall not fail. Romans 8:17–18 And if children, then heirs; heirs of God, and joint-heirs with Christ; if so be that we suffer with him, that we may be also glorified together. For I reckon that the sufferings of this present time are not worthy to be compared with the glory which shall be revealed in us. 1 Peter 1:3–5 Blessed be the God and Father of our Lord Jesus Christ, which according to his abundant mercy hath begotten us again unto a lively hope by the resurrection of Jesus Christ from the dead, To an inheritance incorruptible, and undefiled, and that fadeth not away, reserved in heaven for you, Who are kept by the power of God through faith unto salvation ready to be revealed in the last time. In this world where we often deal with worry and strife it is so good to have that blessed hope of Heaven. 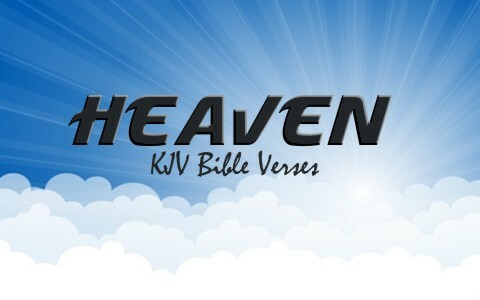 Heaven is real and to get there all you have to do it come to Jesus. Do it now for tomorrow may be too late. Previous post: Why Was There Polygamy In The Old Testament? Next post: What Is Replacement Theology or Supersessionism?